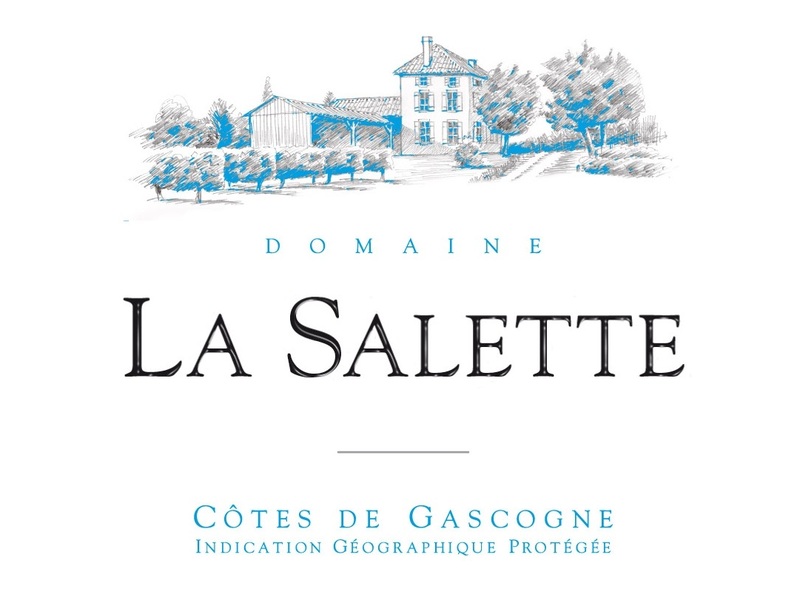 Salette Cotes de Gascogne Blanc is made from 80% Colombard, 10% Ugni Blanc and 10% Gros Manseng. This family owned and operated winery has been producing wine since 1971. The estate is located near the town of Condom, in the Armagnac area of southwest France. Current owner Michel Duffour started in 1982 and was joined by his son Nicolas in 2005. They continue the traditional winemaking of the family while using new techniques such as skin contact maceration and cold stabilization. They also make use of enologists from Bordeaux to create their cuvees. They export 80% of the total production. The estate measures 32 hectares (79.04 acres) with 30 hectares of white grapes and 2 hectares of red. The soil is clay and limestone based. The average age of the vines is 20 years. The continental climate ensures optimum ripening of the grapes.